This was made on a whim over a period of two weeks. The patterns were created by me from several yards of muslin. The dress itself is made from dark green wool, cream chiffon (for the ruffles), and cream coated leather cord. The cape is four yards of brown wool flannel. The wig was hand dyed, cut, and curled, a tedious process that took many hours. Despite the simplicity of this, it’s become one of my favorite costumes. I also have two posts filled with photos of this costume. Do you sell your work?? I produce theatre and love what you are doing! Please let me know. You are so amazing! 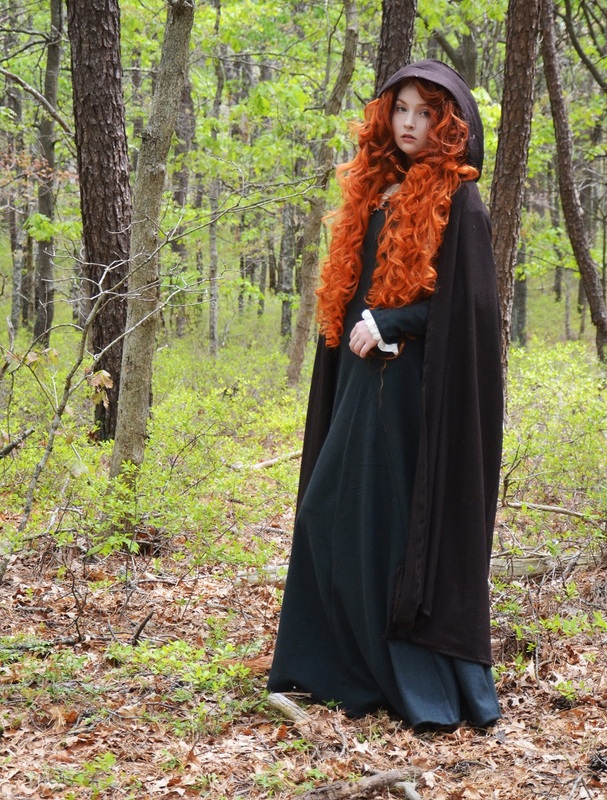 Merida is my favorite princess ever and I think your cosplay of her is the best I have ever seen! I’ve looked at some of your other work to and may I just say you must be magic! You are such a wonderful seemstres! 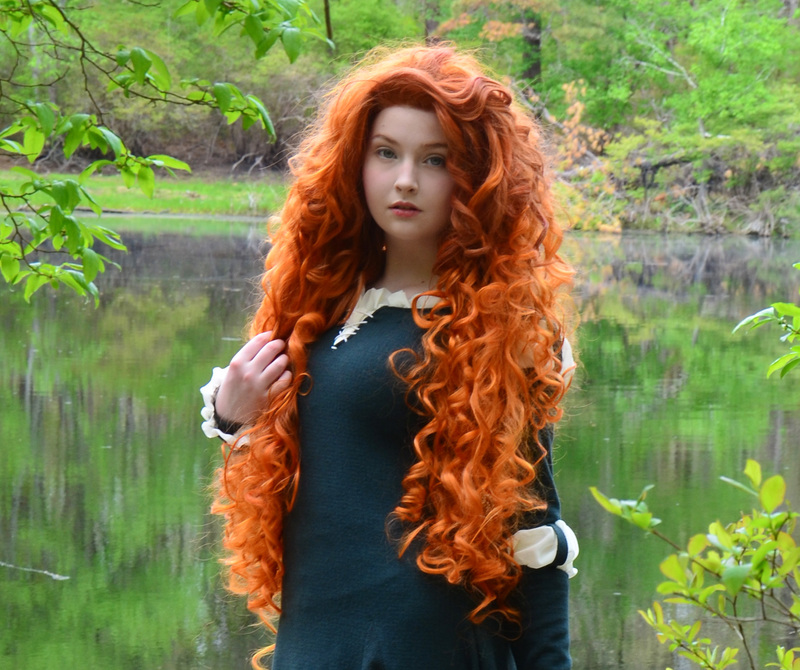 I want to make my hair this EXACT Color and wanted to know what color you used to dye the wig ? ? ? I used alcohol based dyes which can’t be used on human hair, sorry! 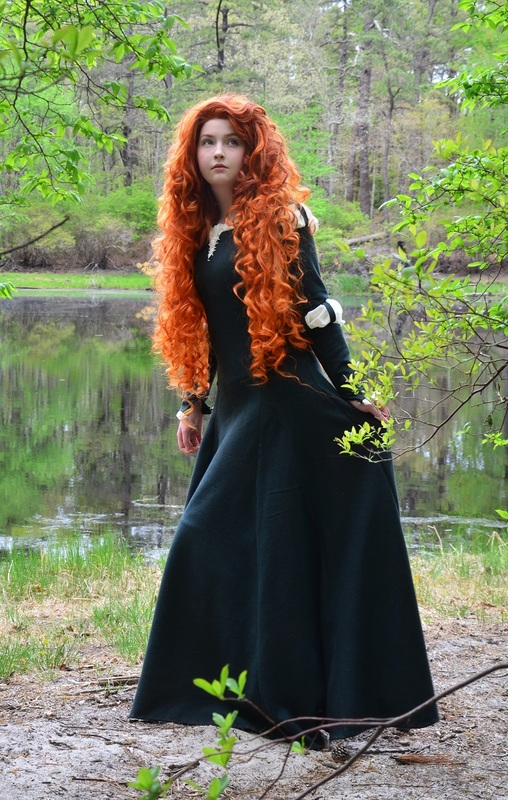 Pingback: Best cosplay ideas - Let' be mermaids!